Counting the decade before he became commissioner, Roger Goodell has been working to put an NFL franchise back in Los Angeles and inside a new stadium for as long as it took 100,000 slave laborers to build the Great Pyramid of Giza. So how’s the construction project going? The hot-button issue of Goodell’s tenure as commissioner is finally front and center as the league’s 32 teams meet Wednesday in Dallas — but only because a trio of owners forced his hand. 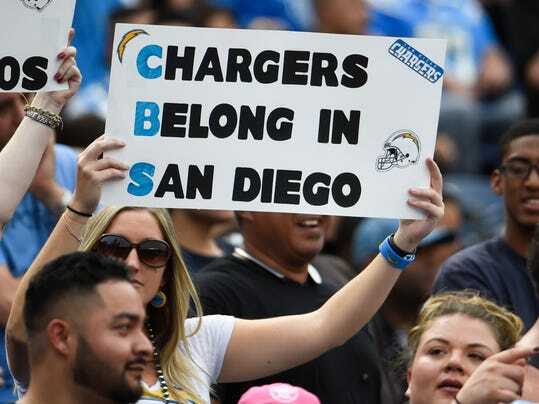 The St. Louis Rams, San Diego Chargers and Oakland Raiders want to relocate to Los Angeles in time to usher in the 2016 season, and they want deadlines set before they depart Dallas to decide the issue by the time the Super Bowl rolls around. A vote later than that likely puts off any move to Los Angeles until 2017.